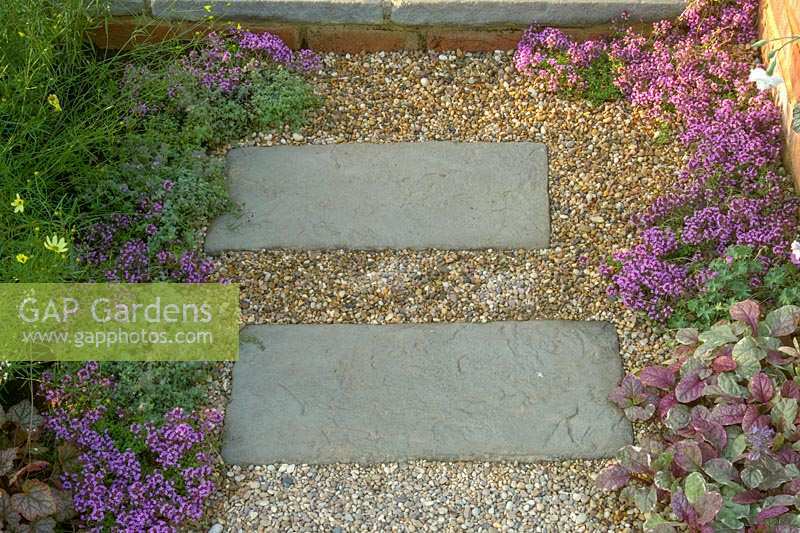 Thyme edged paving and gravel path. A Gift For Life Saga garden. Hampton Court Flower Show, 2003, London, UK. Image 1301481 has been added to your cart.